I value all my readers and welcome their support and will treat your information with respect. If you are happy with me you don’t have to do a thing. 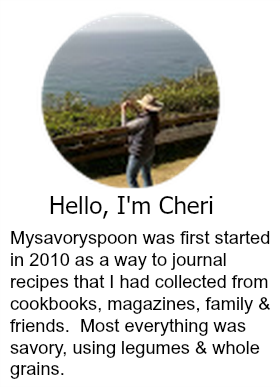 However if you no longer wish to be hear from me, please unsubscribe at the bottom of this email or send me an email at cheri@mysavoryspoon.com with unsubscribe written in the heading and I will remove your information from the database. I enjoy creating new dishes, learning about new foods and techniques and will be back to posting again soon. Entertaining during the holidays can sometimes seem like a daunting task. Especially when you are not well acquainted with your guests. This very scenario happened to me recently. After spending an abnormal amount of time trying to come up with a celebratory menu for a relative that I had not seen since we were kids; and after verifying there were no food intolerance or foods they simply did not like to eat I was stumped. I even started to dread the “mess” I got myself into. I was looking for something I could make ahead and something tried and true. Those words kept playing over and over in my head until I remembered an Ina Garten cookbook that I had received as a gift a few years back. It was then that this meal fell into place. “Make it Ahead”, a Barefoot Contessa cookbook with all of its tried and true recipes saved the day. My husband prepared and cooked the pork and I made the apple chutney, which is fabulous by the way! The pork is seasoned with rosemary and thyme and then wrapped in prosciutto. We served crisp tender green beans and mash potatoes as sides. The pork was tender, moist and full of flavor and the chutney was the perfect accompaniment. Since we made Ina’s recipes exactly as they were written, I decided to link back to Ina Garten’s website instead. Click here. My phone buzzed me early this morning with news of yet another scandal. Oh I was shocked; not him too…… so hard to listen to day after day. But the beauty of having a news app is that I can also remove it. Now only good and hopeful thoughts for me till after the holidays. Not realistic you say, well my husband watches the news enough for the both of us and actually enjoys it, so why not. It's beginning to look a lot like the holidays! So it’s show time folks and time is flying by with lightning speed. There is still so much to do and plan, the holidays are here. I’ve decided to start the season off right with these Bourbon Glazed Fruitcake Bars. And oh are these good! They are packed with dried crystallized ginger, cherries, oranges, golden raisins and walnuts. They are dense and chewy. The bourbon glaze is subtle but if you’re not a fan maple syrup would work beautifully. The trick to these bars as you know there’s always a trick; is to stir the dry ingredients until everything is moistened and then press the batter firmly into the pan. Dense and chewy, these Bourbon Glazed Fruitcake Bars are a wonderful treat for the holidays! Preheat oven to 325°. In a 8 - inch square pan; butter or spray sides and bottom, line bottom and sides with parchment paper, lightly grease parchment paper. In a large bowl add flour and next 4 ingredients, stir until combined, then add sugar and next 5 ingredients, (break up any clusters of dried fruit). Add egg, stirring until blended. (important step) Make sure all ingredients are moist. Press batter into prepared pan. Let cool approx. 20 minutes, then remove bars from pan and let set until completely cool. Ready to make glaze. Stir together butter and bourbon in a small bowl. Whisk in powdered sugar; drizzle glaze over cooled fruitbars. Enjoy! Important: stir the dry ingredients until everything is moistened and then press the batter firmly into the pan. I was sent complimentary products from Tresomega Nutrition to use for their “Organics for Life” Blogger Recipe Challenge for the purpose of creating a recipe. All thoughts and opinions are my own. 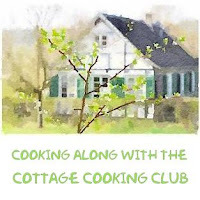 A few months ago I signed up for Tresomega’s very first annual blogger recipe challenge, you can read about the contest here. The contest was available to the first 50 bloggers that signed up. There are 3 parts to the contest; entrées , appetizers, and baking. You can chose to compete for all 3 categories or just one or two, your choice. For this recipe I used Tresomega’s Gluten Free Quinoa Fusilli Pasta which is wheat and corn free and the Tresomega Organic Virgin Coconut Oil. I’m submitting this recipe for the entrée category of the contest. Tresomega quinoa pasta is made with a unique blend of organic royal Bolivian quinoa – a nutrient packed superfood, organic amaranth, an ancient grain rich in vitamins and minerals, and organic white rice. Shredded chicken, apples, celery and frisée lettuce make this a winning combo. For those of you that are not familiar with frisée, it is a variation of endive that has curly leaves and a slightly bitter taste. In this recipe the sweetness of the apple played wonderfully with the frisée and the apple and celery brought on the crunch. Versatile, quick and easy, perfect for those fast paced week nights. Thanksgiving turkey can be easily subbed for the chicken. Heats up beautifully the next day. In a large pot of boiling salted water cook pasta until tender but firm. Drain, toss in 1 tablespoon of coconut oil, set aside. In a large skillet on medium heat add remaining tablespoon of coconut oil, garlic, celery and scallions, sauté 2 to 3 minutes. Add chicken broth, one cup at a time, pasta, chicken and frisée, toss well until heated through. Add more chicken broth if needed. Top with apples and parsley. Serve with grated Parmesan on the side. Enjoy!